As part of the largest tertiary referral medical centers in the region, UF Health Urology attracts patients with some of the most challenging urologic conditions. As such, these patients often require a multidisciplinary team approach to provide the best and most precise patient-centered care. 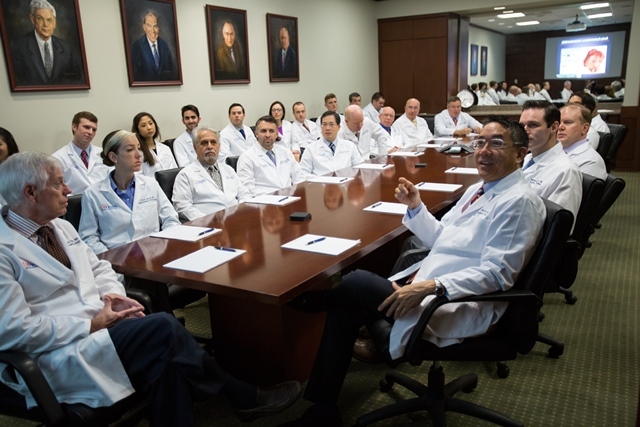 To address the unique needs of these patients, we have developed several programs staffed by a team of fellowship-trained physicians and staff members who review, discuss and optimize treatment strategies in a collaborative and integrated manner. Each case is viewed as unique with no two conditions being alike. As a result, the final treatment strategy is tailored based on the presenting condition, age and health of the patient, with the goal of optimizing treatment success while preserving quality of life.